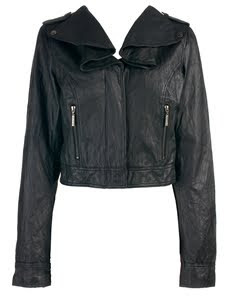 The cropped biker jacket is a staple piece for your A/W wardrobe. It is a really versatile item for your closet, it can be worn dressed down with jeans or leggings or you can add a masculine edge to a really feminine outfit by adding your biker jacket over a dress. The mix of feminine meets masculine looks is a key trend for the up and coming season and you can work this trend with a Biker Jacket. Nicole Richie is a fan of her leather Biker Jacket by Rick Owens. Nicole Richie's Rick Owens leather biker jacket is amazing but it does come at a price of just over £1000, so i have found some affordable alternatives. 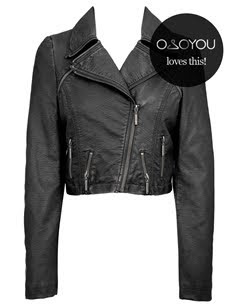 Lipsy - Waterfall Collar Leather Biker £140.